Our community as well as the La Jolla Association remains concerned that the creditability, integrity and transparency of the La Jolla Community Planning Association is failing. Joe La Cava called for a “Special Meeting”, on October 29th, with the intention to cure and correct the violations of the March and July elections. The proposed amendment although passed by the Trustees, was rejected by the opponents challenging the elections. Current Trustees and former Trustees proclaimed the proposed amendment of the LJCPA bylaws was not the correct method to resolve the ongoing election debacle. Former Trustee David Little asked the group to seat duly elected Michael Morten and requested Joe La Cava to step down. Trustee Ray Weiss agreed Michael Morten was properly elected and Joe La Cava was not. Trustee Fran Zimmerman asserted the March election was tainted with “chicanery” and “ill-regularities”. Trustee Janie Emerson, believes it is unconscionable to tinker with or change the LJCPA bylaws to correct election errors. Adding to the drama, upset Trustee Rob Whittemore tended his resignation from the board via e-mail declaring; “Regrettably the systematic corruption of the planning group has taken hold and I prefer to watch the debacle from afar.” Former Trustee Jim Fitzgerald clarified new candidates had priority over term-out candidates in the March election. Jim Fitzgerald correctly stepped down. 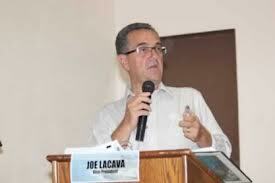 However, despite previously acknowledging he was not duly elected in a March 26th email, termed-out Joe La Cava continues to jeopardize the creditability, integrity and transparency of our community group by refusing to step down. The LJCPA needs fresh new leadership and they need it now. If you share our concerns for the future of our community please consider joining the LJCPA and running for a seat in the upcoming election in March 2015.